Shuo Wang records neural activities using intracranial electrodes from neurosurgical patients comorbid with epilepsy and autism spectrum disorders. According to the Centers for Disease Control, one in every 68 children born in the United States has a form of autism. Children with autism spectrum disorder typically pay less attention to faces and other social stimuli, preferring to fixate on objects. Shuo Wang, an assistant professor of chemical and biomedical engineering at West Virginia University, is hoping to find out what role a portion of the brain may play in this behavior. 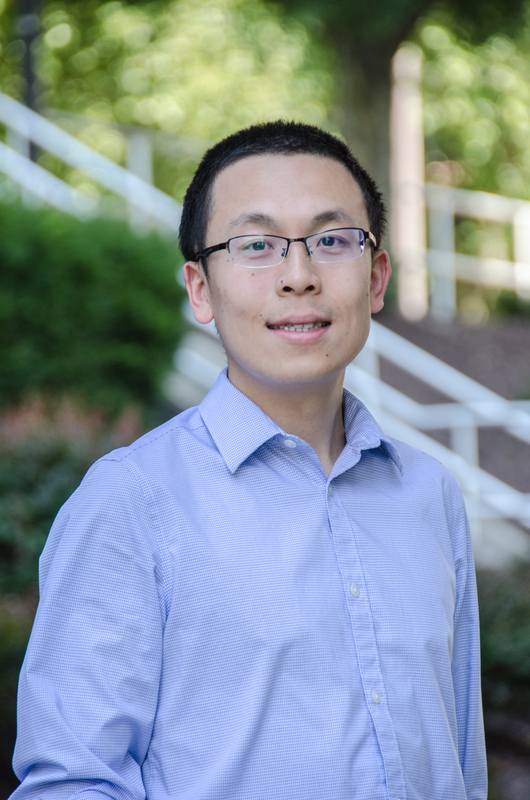 Wang will conduct electrophysiology studies on abnormal signaling in the amygdala, the brain’s alarm circuit for fear and a critical brain structure for social behavior. His work is being funded by a three-year, $200,000 grant from The Dana Foundation, the first ever received by WVU. Since ASD is associated with an increased risk of epilepsy, Wang and his research team plan to study patients who require surgery to treat the seizure disorder. Electrodes placed inside the brain will be used to record the activities of individual neurons, which will then be correlated with autistic traits. Forty patients are expected to be part of the study. Wang believes the electrophysiological recordings are expected to provide a key missing ingredient from fMRI data. Wang has done extensive research on human neuroscience. Prior to coming to WVU in 2017, he did postdoctoral research at both Cal Tech and Princeton University. This is his first award at WVU. “Dr. Wang’s research will foster knowledge in this important and unexplored area,” said Cerasela Zoica Dinu, associate chair for biomedical engineering. “It also creates active networks between different entities at WVU, namely the Statler College of Engineering and Mineral Resources, WVU Health Sciences Center and the Rockefeller Neuroscience Institute. © 2019 West Virginia University. WVU is an EEO/Affirmative Action employer — Minority/Female/Disability/Veteran. Last updated on January 11, 2018.